The UK’s leading online parenting site MummyPages.co.uk warns mums and dads against posting photos of their children on public dating app Tinder. A survey by MummyPages.co.uk has revealed that 71% of single dads compared to just 24% of single mums who currently have photos of their children posted on the popular dating app. Single mums are winning the Tinder war when it comes to classy profiles, responsible dating and the all-important ‘swipe right’ main profile pictures. It’s no surprise that there have been lots of happily-ever-after stories for time-starved single parents on Tinder and online dating sites. However the risks are not just around the dating part itself, where most now follow the common sense rules of telling friends when and where they’re meeting a date so that they can check in on you by phone. According to the MummyPages.co.uk survey, a shocking 71% of single dads are currently posting photos of their children on free dating app Tinder. Of these profiles, two-thirds are posting solo photos of their children while one-third pose with their children in the pictures. 1. Obscure photos: blurry or long distance photos of you aren’t helpful, neither are those of you wearing a hat and sunglasses! 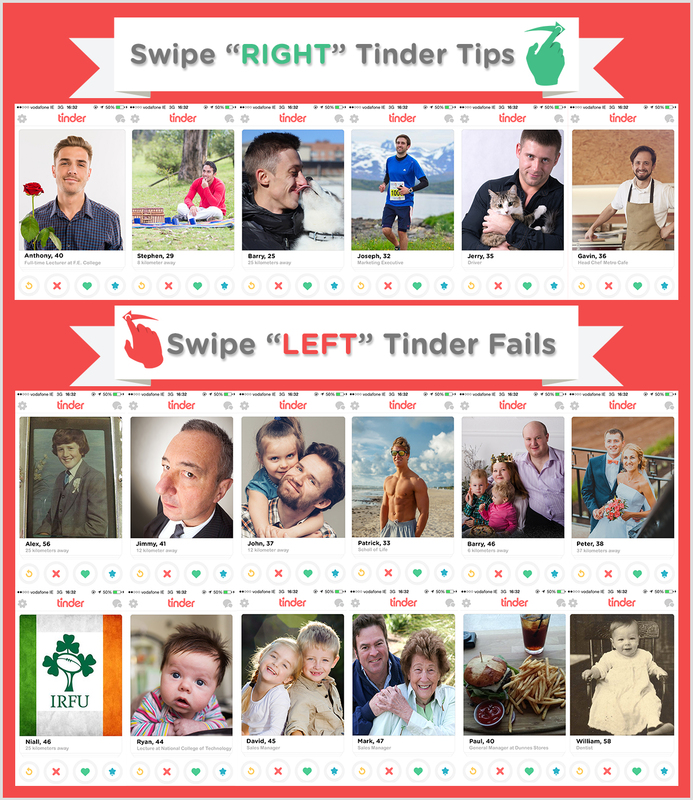 A friendly, clear main photo of you is more likely to make a potential suitor pause to consider your profile before swiping left. 2. Arty photos: a potential date wants to see photos of you, not the mountains or a holiday beach scene, nor do they want to see a cartoon depiction, drawing or quote, or foodie pic! 3. Group photos: how do I know which one is you? Most swipers won’t invest time in detective work. I want to date you, not your friends! 4. Photos of your Kids: this is dangerous. Include your parenting status in the text summary of your profile. ‘Loving dad’ is definitely not a turn-off to many women, especially single mums! 5. Photos of your Ex: please don’t post photos of your ex-wife, girlfriend or even your mum! Wedding day photos are a big no-no. 6. Pet photos: if it’s a dog, include it as that can be perceived as quite masculine by some, if it’s anything else, especially those from the reptile family – leave it out. 7. Selfie photos: avoid the obvious bathroom mirror shots, especially where we can see the toilet! Men are not as talented as women at selfies, get a good camera app, play around with angles and filters and make sure we’re not looking up your nose! 8. Body photos: we’d like to know you’re not obese but we don’t need to see your abs! It makes most women think that you’re either majorly ‘into yourself’ – swipe left; or looking for hook-ups only – swipe left. 9. Sports & Hobby photos: an active sports-person, or hobby enthusiast makes you interesting to a potential suitor so include one or two photos which reflect your passions in life. 10. Text Summary: be genuine and honest about what you’re looking for from Tinder, whether it’s a date with the potential to build a relationship or just some fun. Include employment status, height, parenting status, your lifestyle interests and what you’re looking for in a woman.